Village Room Rescue is another point and click room escape game developed by gamesclicker.The story of this game is to escape from the trapped room. Imagine, One person was stuck inside the room.He dont know to escape from this room.So,he need your help. 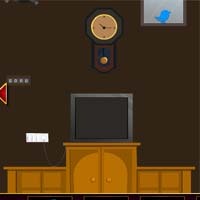 Please help to rescue the person from the room.You can find out some important hints.Then find the key to rescue the person from trapped room.games clicker have more exciting and amusing free online escape games.Have more fun.Good Luck.